One of the most controversial things about Windows 10 is its telemetry gathering. 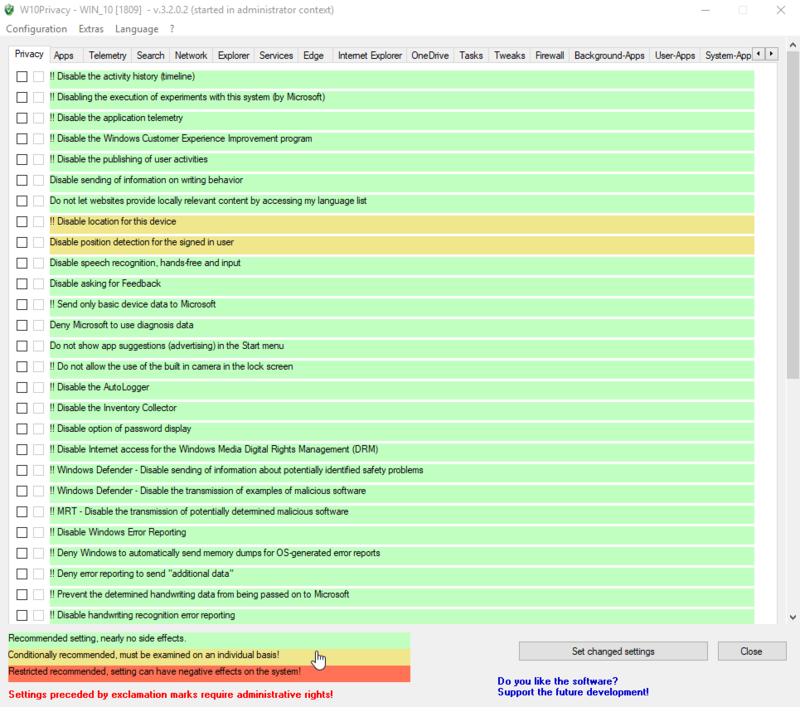 Windows uses telemetry to identify security issues and fix software problems. There is so much telemetry gathering in Windows 10 that it is just astounding. Of course, there might be good intentions, like to improve Windows 10 features and services, behind the data collection. However, not everyone is thrilled about this. Add to that, though Microsoft is slowly adding the required options, Windows 10 doesn’t allow you to fully control what data to share and what not to share. 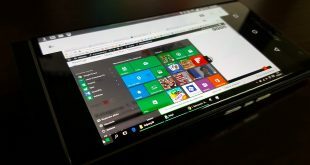 So, if you don’t like Windows 10’s extensive data collection and phoning home constantly, here are some best Windows 10 privacy tools to lock it down. Note: Before using any of the below Windows 10 privacy tools, I strongly recommend you create a system restore point on Windows 10 or even a full backup. This is because the tools below might edit registry values, hosts file, and other system files to achieve the settings you configure. In case of any mishaps, you can restore to a known good state. Also, due to the nature of the apps, antivirus software may show warnings. Those are false positives and you can safely ignore them. 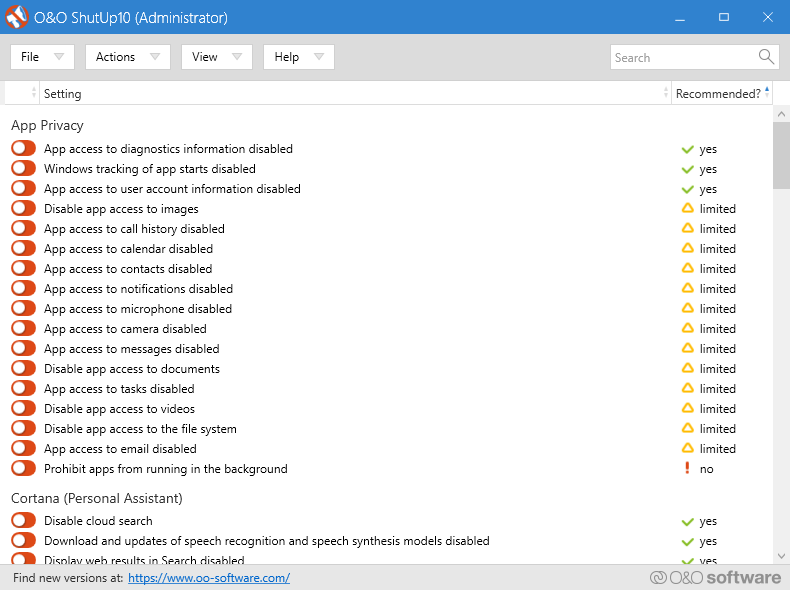 O&O ShutUp 10 is one of the most popular software that gives you the ability to disable any and all available Windows 10 telemetry. As soon as you open the application, you will see all the telemetry options you can disable in a long list that is divided into their own categories. To disable any telemetry, all you have to do is toggle the switch next to it. 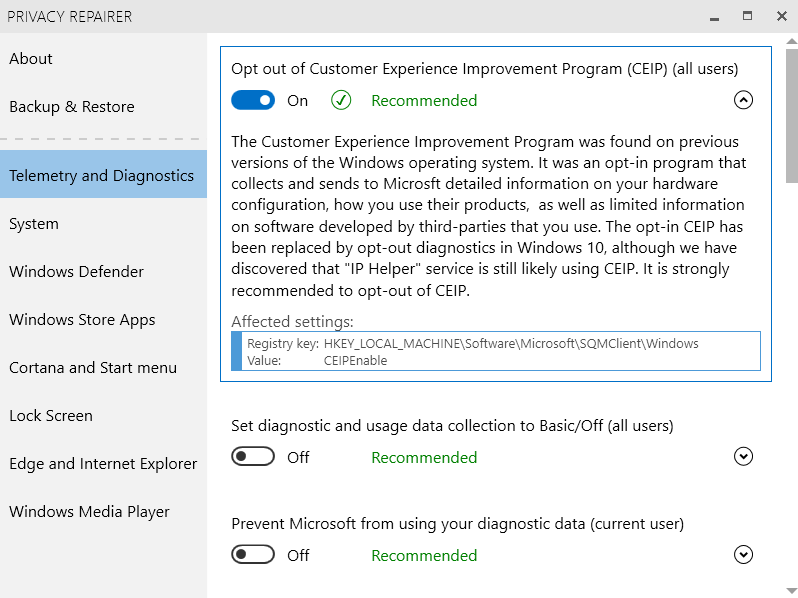 When you disable some telemetry, there is a chance you might also lose some Windows 10 functionally. To deal with that, O&O ShutUp 10 gives you recommendations on what telemetry can be safely disabled and prevent loss of any functionality. Of course, if you don’t mind the lost functionality then you can disable all telemetry. One of the things I really like is that the app support exporting and importing settings. This is very helpful to back up your privacy settings or share them with other users. 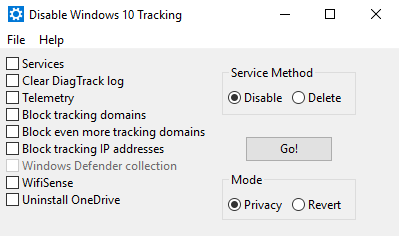 If you are looking for a simple software that disables telemetry, tracking domains, tracking services, etc., then Disable Win Tracking is for you. Disable Win Tracking doesn’t give you the extensive control that you get with O&O ShutUp 10, but it makes things easier. Apart from disabling telemetry and tracking, you can also uninstall OneDrive. In case you don’t know, OneDrive is bundled with Windows 10 and there is no direct uninstall option to remove it from the system. 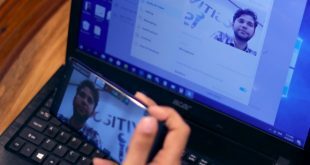 When you first run the application, Windows Smart Screen can block the application execution. This is a false positive. Just click on the “Run anyway” button. Privacy Repairer divides all the telemetry into different tabs and categories. You can disable or enable any telemetry or tracking service by toggling the switch under it. Under each setting, Privacy Repairer will tell you whether it is recommended to disable it or not. Moreover, if you click on the telemetry option, Privacy Repairer will tell you what that telemetry is all about and what registry keys are affected. This is a very welcome feature that is lacking on O&O ShutUp 10 and other Windows 10 privacy tools. When needed, you can backup Privacy Repairer settings with just a single click. If you are looking for an app that gives you tremendous control over what telemetry to disable and enable, W10Privacy is for you. 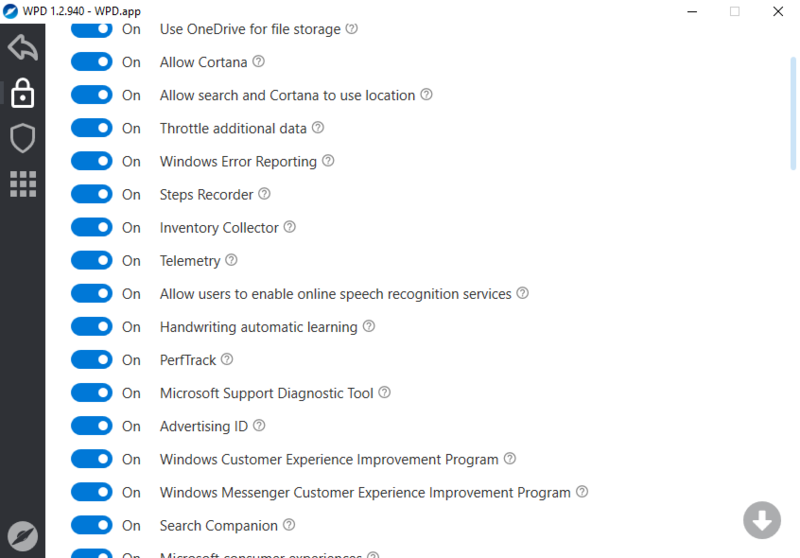 There are literally over a hundred different options telemetry and tracking options to disable or enable. Thankfully, the app divides all the options into their own categories and tabs. Additionally, the app color codes all the options to suggest which telemetry can be disabled safely. When you mouse hover on an option, the app displays a brief description of what the option actually does. However, due to the user interface, it can still be overwhelming, especially for beginners. Destroy Windows 10 Spying is a free and open source software that is very similar to Disable Win Tracking. 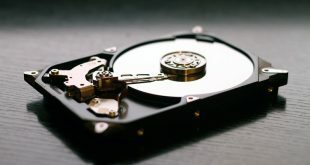 With just a single-click, Destroy Windows 10 Spying will disable all the Windows 10 telemetry and other tracking services. Of course, you can select what type of telemetry to disable from the Settings tab. 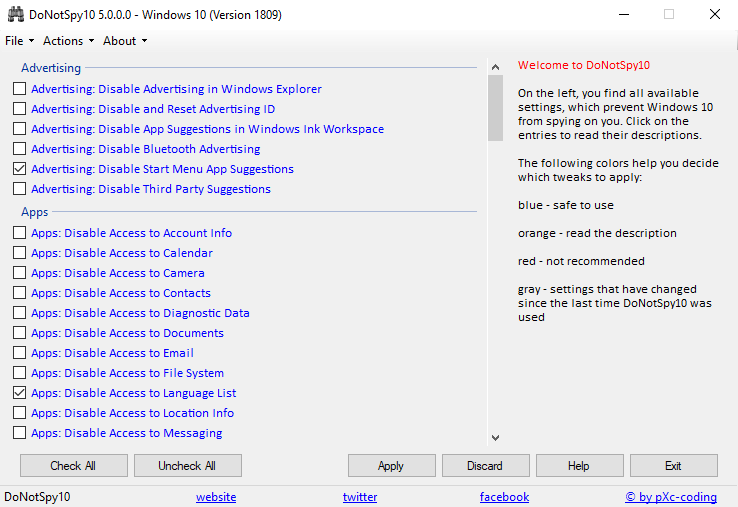 However, you won’t get the fine control like in W10 Privacy, Privacy Repairer or O&O ShutUp 10. Additionally, you can also disable or enable Windows Update with just a single click. Other features of the app include hosts file manager and user account control switcher. Blackbird is a no-nonsense command line application that disables all telemetry and privacy leaking options with ease. Just download the application, open it and press any key on your keyboard. Blackbird will first scan your system and lays out all the things you can disable in one screen. Press the corresponding number and choose an option to disable that particular telemetry. Blackbird gives you fine control over what you can disable. However, being a command line application, no matter how good it looks, can be a bit daunting for new users. That being said, do give the app a try and see how it works for you. DoNotSpy 10 looks and feels very similar to O&O ShutUp 10. After installing and opening the application you’ll get instant access to all the telemetry options. To disable a telemetry option, just select the checkbox and click on the Apply button. Like the other software on this list, DoNotSpy 10 color codes all the telemetry options that you can safely disable. There is also a handy shortcut under the “Actions” option that lets you create a quick system restore point. As good as it is, for some ironic reason, the app tries to install adware (Opera in my case) as part of the application installation procedure. So, be on the lookout for that. DoNotSpy 10 is available for Free but contain ads. You can remove ads and gain access to additional features like settings backup by purchasing the Pro version. 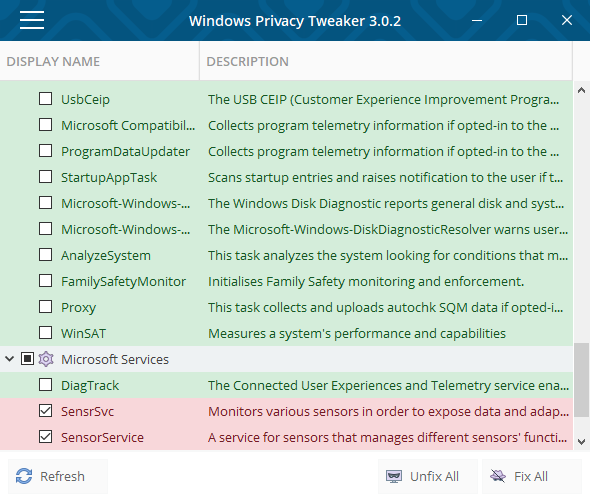 Windows Privacy Tweaker is one of the most popular applications to manager various Windows 10 telemetry settings. The user interface is pretty neat, and all the telemetry options are color coded according to the safe to disable recommendations. Some telemetry options even have their own little descriptions to give a better idea of what they do and whether you should disable it or not. One of the things I really like about Windows Privacy Tweaker is that you can disable or enable an entire section by simply click on their category heading. Moreover, the software is used by many and is well tested. Which simply means that you don’t have to worry about messing your system. WPD is one of my favorite applications that not let you control privacy settings but also has other features like firewall customization and AppX uninstaller. Also, the user interface of WPD is pretty neat and snappy. WPD is a portable application. So, download the application, open it and select Privacy Settings. This is where you can control all the available telemetry stuff. If you want to disable Windows 10 updates, you can do that from the Firewall section. All in all, if you are looking for an app that does more than blocking the Windows 10 telemetry then do try WPD. Since Windows is closed sourced OS, it’s impossible to be sure if the above-mentioned privacy tools actually stop data collection. Even after using these apps, it won’t be surprising to see random internet traffic Microsoftoft servers. One way to get around this is that if your router supports third-party firmware such OpenWRT, DD-WRT, etc. then you can block all the IPs from Microsoft. If you don’t have an advanced router, you can use applications such as Peerblock. This should be enough. If you think I missed any of your favorite Windows 10 privacy tools, then comment below and share them with me.